I am sure all of you have used ‘echo’ and ‘print_r’ to debug PHP. We all know that this way debugging is hard and you need to remember to remove them from production server. Well, thanks to xdebug you can now debug, and you don’t need expensive or blotted IDE for that, just plain and simple Notepad++ can do the job. In this post we will setup xdebug and DBGp plugin with Notepad++. Let’s start by installing xdebug. Download the latest release of xdebug for PHP version you are using. 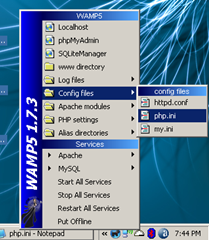 Copy xdebug dll file into php’s extension directory, in my case, as I use wamp, it is c:wampphpext . Just create a folder ‘xdebug’ in ‘c:wamptmp’ folder. Finally restart Apache service . With these steps you have, finished xdebug installation, it is configured for profiling application and remote debugging. Check documentation to know what all these configuration do, and tweak according to your preference. We will now install DBGP plugin for Notepad++. Make sure you have latest version of Notepad++ is installed. Download the latest release of DBGp Plugin. Unzip and move dbgpPlugin.dll file to plugins folder of your notepad++ installation folder, in my case the path is “C:Program FilesNotepad++plugins”. Check out the readme.txt file, that is bundled with plugin, to make sure we don’t miss anything. 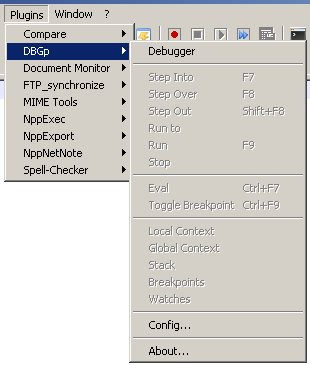 Now open Notepad++, and you should see DBGp option in plugins menu. Well we are now almost finished with setup, only ting remaining is to configure DBGP to listen to right port and we are done. Goto “Plugins->DBGp->Config” to open the configuration screen of DBGp plugin. Fill the details as shown in the image above. IDE KEY should be same to the one you specified in php.ini settings above. Click Ok and you are done. To start debugging just add “?XDEBUG_SESSION_START=session_name” at end of you url. ‘session_name’ could be anything you want to keep. Posted in: how too?, php Tagged with: dbgp, debugging php, notepad++, xdebug. I have gone through the article, really good article, but i am not clear about the last line in your article. Pingback: Debugging PHP using Xdebug and Notepad++ : Part 2 | am i works? Nice Article mate, i think this approach would go well for small and medium sized applications. but when you come with large ones i think IDE is the best way to go for. Zend provides you a much better solution when it comes thousand lines of code to be debugged. Can we translate this article for other languages? For example Spanish? Unfortunately the latest release of NP++ and the plugin are not compatible with each other. 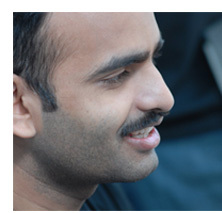 Amit, could you please mention version no of your xdebug, notepad and dbgp plugin? When I turn on debugger, I always get “Dynamic link library initialization failed'” in notepad and debugger crashes. I’ve also tried it on another machine with php 5.3 and compatible xdebug and latest:Notepad 5.4.5 and dbgp 0.11 . This time no dll error pops up but debugger doesn’t stop at any breakpoint. I’ve wasted 3 days in figuring out the problem. Could someone please help me? Amit, I’ve already seen your ‘part 2’ but I didn’t see anything specific which could solve my problem. I did exactly as you mentioned still I get above mentioned errors. Thanks. Jitendra, then i am sorry i won’t be of much help.. as i need to actully see the error to tell you what is wrong. If you followed the steps properly and selected the right xdebug dll for you php then it should work. 127.0.0.1 is not realy a remote IP. How to get working with a remote server? May be it is related to SEF. Have your setup URL rewrite ? If yes, try disabling it. use xdebug_break(); in your code (instead of just setting breakpoints using DBGp) . and see if it works. @opolette : Yes I’m using Apache rewrite but it was working fine with earlier Notepad++ version. Something somewhere went wrong and it stopped working. I’d try your suggestions and post the result here. Thank you Jithendra for your article. The documentation for using this plugin is extremely sparse and you got me far enough to start working. With that said, I’m still having trouble getting it working properly. 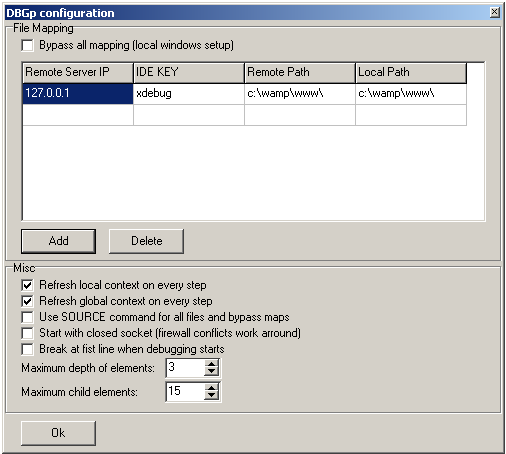 I’m using IIS 7.5 on Windows Server 2008 R2 and PHP 5.3.0 and the Firefox Xdebug plugin. Note that when using the Firefox plugin I had to remove the xdebug.idekey setting in my php.ini file. When I debug a simple test script, setting a breakpoint doesn’t work at all. The taskbar icon for Notepad++ flashes, but it didn’t break at the line. When I call xdebug_break(), then Notepad++ breaks. I tried this same procedure with a larger system (WP.osC, a derivative of osCommerce) and it doesn’t break. It would appear that there are some incompatibilities between the Notepad++ DBGp plugin and one of the components in use, maybe PHP 5.3.0 as a previous comment suggested. Too bad, as this is a really nice solution. One other problem I ran into. The keyboard shortcuts don’t appear to work at all. I tried pressing F8 to step over and nothing happened. If anyone has any ideas on how to solve these problems, I’d love to hear about it. Thanks. A long time ago I managed to set up my development environment to use xdebug, but I had to re-install my box and then it was all lost. For the information of those trying to do the same, I’ll advise them to use firefox with the xdebug extension installed, and all goes perfectly. And set DBG inside Notepad++ to refresh the contexts at all time. I am having a unique problem. Cant find the solution anywhere. First I was using Eclipse to debug PHP pages. It worked perfectly with xdebug. Once while clicking debug button I accidentally pressed the cancel button for debugging. Thats when the whole problem started. PROBLEM -> while clicking the debug button, my site opens in firefox browser with the address http://localhost/sitabookslive/index.php?XDEBUG_SESSION_START= but the control is not passed back to the editor to start debugging. Instead the site opens up normally and eclipse says Launching: Waiting for xdebug session. Now I tried the above method in Notepad++ and the same thing continues here. Even after putting breakpoints in NP++, the control doesnot pass back to NP++ , instead the site opens normally. Could someone please help me out with this. I checked the port, changed the port number, checked xdebug in phpinfo() and everything seems perfect. Netstat says the port no 9000 is in Listening status. dont know how to proceed. Any help is very much appreciated. Thank you. You’ll find this very useful. I use a combination of netbeans, xdebug and ubuntu. Very easy to set up. I am a PHP learner from Barpeta, Assam. I have read many article on xdebug but failed to make it work. I read your post and configured according your guidance, IT IS WORKING fine. I am running Notepad++ 6.5.4 with DBGP Plugin 0.0.13.27, WAMP server 2.2.